When an energy company needed a reliable yet economical solution for a windmill project, they turned to Cheng Day Taiwan. The project required a hoist to lift parts to the windmill generator which is located over 80~100meters above the ground. The objects weighing up to 250kg must be lifted to the generator quickly so that maintenance can be performed timely. 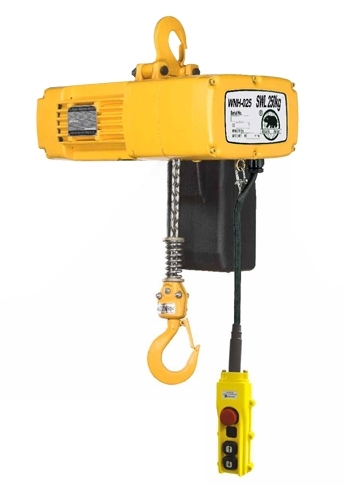 Our hoists’ capacity is from 125kg to 1ton. It is extremely important to keep the energy flowing without interruption. 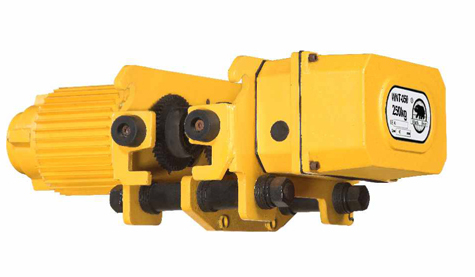 High speed 20m/min, efficient for long lifting. With 10 pocket and 45 degrees lift wheel for chain smoothly operation, our patent. Hoist with balance trolley, because with long and heavy load chain to keep it right position. 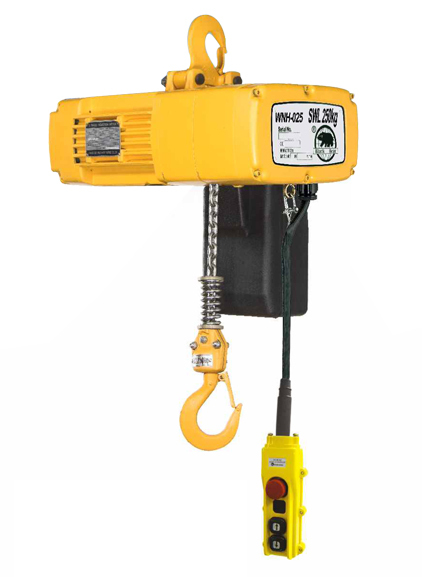 A slipping clutch (overload device), limit switch, emergency stop are the safety features of our hoist. 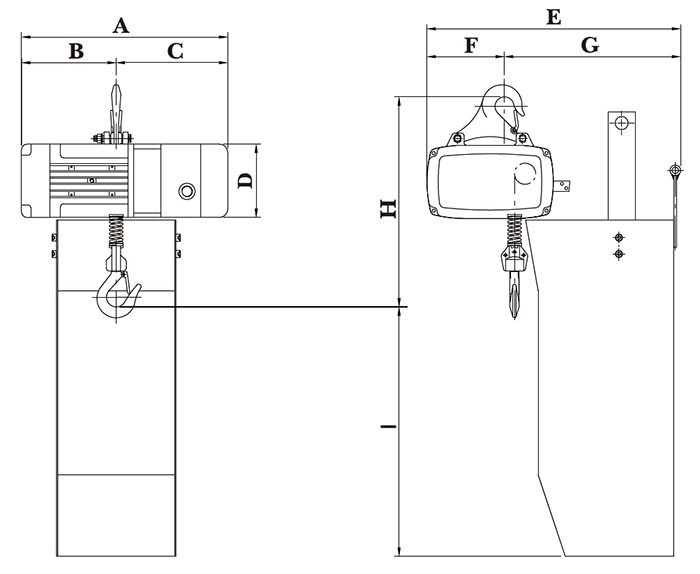 A critical project can be entrusted to Cheng Day’s WNH series chain hoist. The solution provided a reliable hoist with long lift at fast speeds to keep up with the maintenance demands of the power units. ※ Chain bucket is different from the actual size, the photo reference is for schematic purposes only. ※Operates on single voltage between 220V~600V, 3ph ※24V or 110V control voltage for operator safety.